Symphony Ventures has announced a Series A investment of £3.5 million ($4.5 million) from Livingbridge, a mid-market private equity firm with a strong track record of investing in high growth technology businesses. The funding will further accelerate Symphony’s rapid growth – including a doubling of employee numbers – and continue its global expansion, increase delivery capacity and widen product development. Symphony also welcomes two new members to its Board of Directors: Henry Alty of Livingbridge, and Bill Thomas, Managing Partner of Acresis, a founder advisory firm that supports Symphony on their growth and liquidity goals. Symphony was founded in 2014 and provides consulting, implementation and managed services to enterprise clients looking to automate operational processes that are manual, repetitive, complex and time-consuming through RPA and Intelligent Automation solutions. Symphony’s founders have been at the forefront of work innovation for two decades as former Business Processing Outsourcing (BPO) executives and have a combined 70+ years of industry experience. The team recognized early that automation had the potential to unleash significant value for enterprises. Led by Chief Executive Officer David Poole, Chief Strategy Officer Ian Barkin, Chief Client Officer Pascal Baker and Chief Operations Officer David Brain, Symphony has grown in just three short years into an unrivaled 120-strong team of talented professionals worldwide, known for delivering some of the most complex and impactful RPA solutions. Symphony’s client portfolio includes firms in over 21 countries within financial services, telecommunications, health care, logistics and the public sector. Livingbridge is a mid-market private equity business with particular experience working with high growth technology companies having invested in firms such as B2B internet services provider M24Seven, email signature software company Exclaimer and IT infrastructure provider Onyx Group. 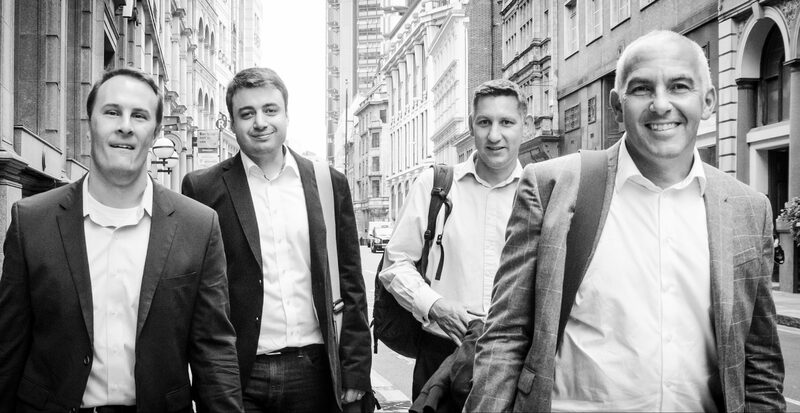 The investment in Symphony Ventures uses funds from the Baronsmead Venture Trusts. Symphony was ranked the #1 RPA Pure Play Specialist by HfS Research in 2016 and recognized by Gartner as a Cool Vendor in 2015.